My absolute favorite niche of photography is newborn portraits. I love, love, love them! There's always been a special place in my heart for babies (I've had three!) and the newest, squishy, sleepy ones are the best. I can't get enough of their precious faces, sweet tiny features, and snuggles! Plus, I find it incredibly rewarding to meet and connect with new parents. Because I know these early days can be exhausting and hectic, my goal is to create a relaxing experience for parents. I have designed a system which brings a portable professional studio to your home. Full sessions typically last about 2-3 hours, which makes being in your own home so convenient. You’re able to stay close and watch, comfortably feed your baby, or catch up on a book or a show during our time together. 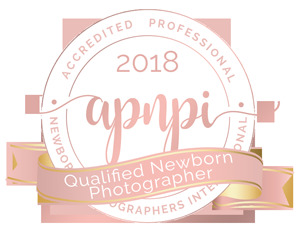 I am a Certified Professional Newborn Photographer through APNPI (Accredited Professional Newborn Photographers International), a wonderful organization dedicated to the art, business, and education of newborn photography. Furthermore, safety is my number one priority while photographing and handling your baby,so I've also been safety certified through APNPI. You can find more information on APNPI here. I have tons of high quality, professional props available, including wraps, blankets, outfits, headbands, and hats in almost any color! Your session is custom-tailored to your family, so feel free to include a couple of significant items or heirlooms. 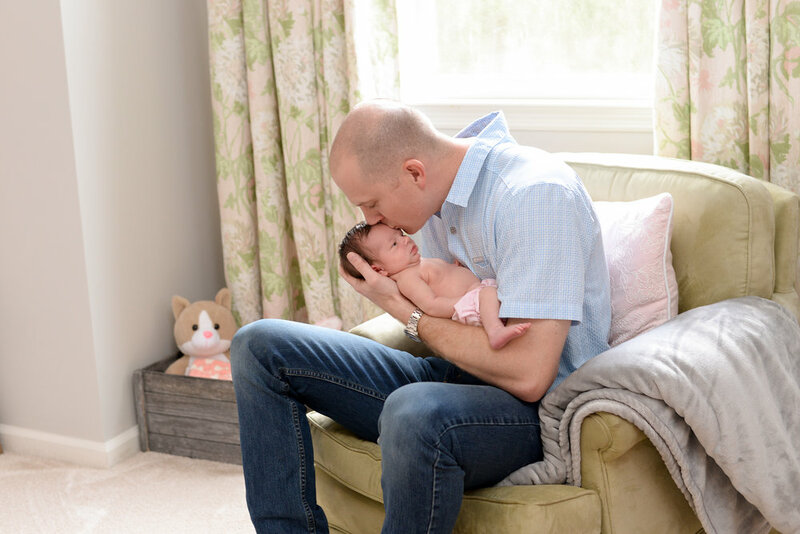 Newborn session collections are explained below. To ensure availability, I only take a limited number of newborn sessions each month, so reach out (ideally in your second/third trimester of pregnancy) and we can pencil in your due date. Click here to contact me and reserve your baby’s portrait session!